Looking for an interactive Agency? Virtual Reality is creating a whole new dimension for digital experiences. Our VR tour technology can make your point of interest or significant place available to the world, both now and for posterity. Have an ar/vr project to discuss? Our virtual reality tours can transport viewers to worlds that would be previously unavailable due to distance, danger or the limits of our reality. VR and AR (augmented reality) are merging information and experience, creating new forms of media that have powerful and transformative capabilities. Pokemon Go showed the potential social impact AR can have and is clearly only the very first taste of what this new digital space can provide. If you are a council, an institution or a business, we can build a VR tour of your location for any purpose including induction, exploration or documentation. Compatible with Oculus, Cardboard, DayDream etc. Learn more about how we can create an immersive experience for your space, real or virtual. We craft inspired experiences for amazing locations. The Old Windmill, Brisbane, is a historically significant site which has served a multitude of different purposes for the city since it’s construction in 1828. 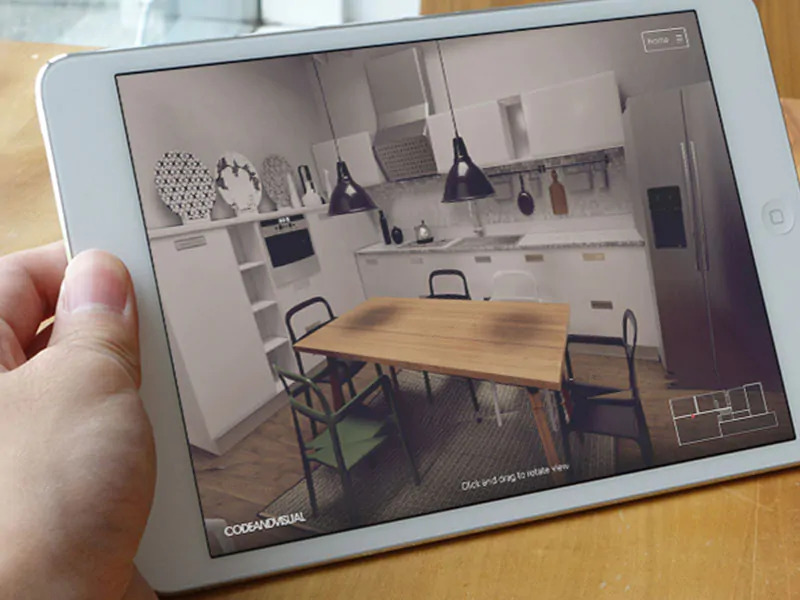 Silas and Anna Rowe produced this VR tour to demonstrate how effectively this technology can be used to capture a snapshot of an important space in unbelievable experiential detail. The digital time capsule allows not only the record of a space as it exists in the present, but allows the intrinsic capabilities of digital media to enhance and augment the experience with additional imagery, data and information about the windmill from times gone by. When looking for a creative agency in Sydney, the Biennale of Sydney contacted us to build this cross platform mobile tour for the City of Sydney legacy art collection. One of only four legacy art projects and known as “The City of Forking Paths”, the 65 minute walk was a creation of Canadian artists Janet Cardiff and George Bures Miller. Users enter into to an immersive live action experience that sees them walk through the very space that the film’s narrative takes place in. 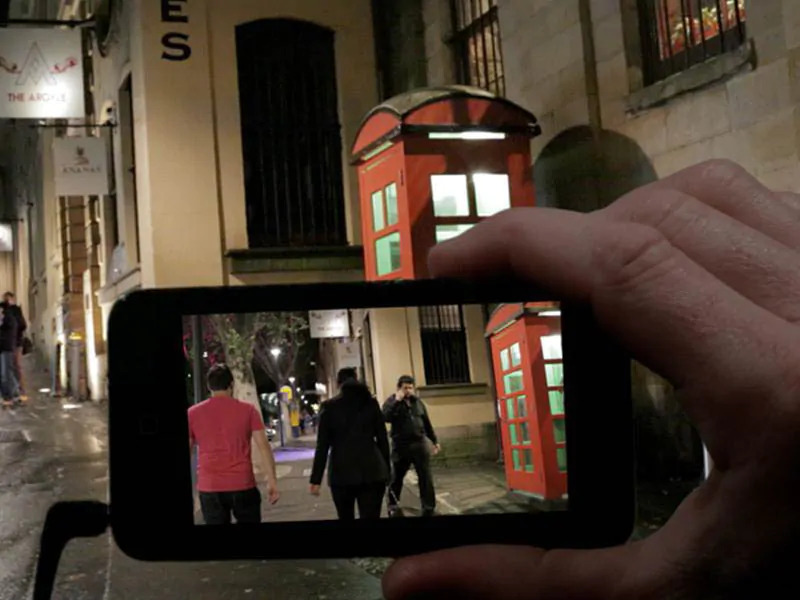 The app was conceived, designed and built by Code and Visual and was released to both the Apple App Store and Google Play store and is available on supplied mobile devices from Customs House, the Rocks. Building an engaging VR or AR experience can only be half of the equation. In order to get your virtual tour or application into the hands of as many end users as possible you need to determine which delivery platforms it will be made compatible with. YouTube provides a great distribution hub for VR video but some projects will require the production of a custom mobile app to give users the optimal experience and range of functionality. Specifically with Augmented Reality, mobility is an intrinsic aspect of the final proposition. As app developers in Australia we are experts in delivering an end-to-end service that can take a concept through the stages of scoping, design, development, launch and ongoing support. Interested in a VR Tour for your location? Whether you’re an organisation, a not-for-profit, a large agency or anything in between, we’re ready to provide you with the top quality services you’d expect from Australia’s leading creative digital agency.